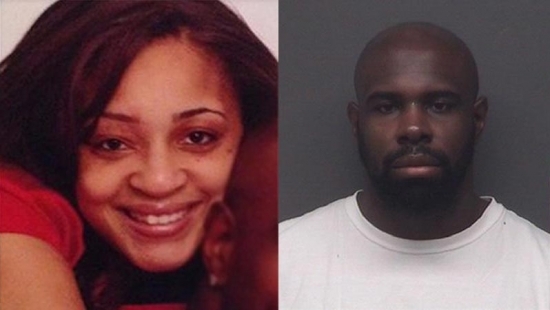 The father of two children missing Saturday from Smyrna, DE, has been arrested and charged, but the search for their mother continues. 32-year-old Cortez A. Hamilton Sr. was pulled over on Interstate 64 by state troopers near Jasper, IN, Saturday night at 7:30 pm driving his red Chevrolet Suburban. The two children, 4-year-old daughter Colette Hamilton and her 4-month-old son Cortez Hamilton Jr., were with him. They are safe and sound at the Indiana Division of Child Services. Hamilton Sr. has been charged with two counts of Endangering the Welfare of a Child and Assault Second Degree. An Amber Alert had been issued Saturday afternoon for the children. No one had seen them or their mother, 35-year-old Keisha Hamilton, since 10 pm Friday night. The Amber Alert was canceled when the children were found, but authorities have issued a Gold Alert for Keisha. She is described as a black female approximately 5'6" 145 pounds with brown hair and brown eyes. If you have any information call 911 or the Delaware State Police. Authorities in Bucks County have recovered the body of a worker who was trapped and killed when a silo collapsed last week. The victim, identified as 48-year-old Tony Gabriele of Tullytown, was found by crews at 2 p.m. on Sunday. The incident happened around midnight Thursday at the Silvi Company in the Riverside Industrial Complex in Bristol when Gabriele was near the end of shift. The silo contained thousands and thousands of pounds of dry concrete that rushed out during the collapse. When the accident was discovered in the middle of the night by a patrolman, numerous Bucks County fire, rescue, and technical crews responded. Due to the nature of the fine concrete mix and the sheer volume of it, combined with the single digit temperatures the rescue mission turned into a recovery mission by the morning. OSHA is investigating the accident. Back on December 29th, during a bizarre incident in Bensalem, an dog owner lost her beloved dachshund puppy Ollie. Today, Nicole Donlen was reunited with her pup after the help of several groups. Two weeks ago on that Sunday evening, Donlen was surprised to find 21-year-old Angel Suarez Medero, a local jockey, pleasuring himself on the second story deck of her apartment in the Franklin Commons Apartments. Medero then came into the apartment through a glass door. Ollie and her other dog Heinz attacked as Nolen escaped to a neighbor and called 911. Medero and the dog Ollie both somehow fell from the 2nd floor apartment to the ground outside. The jockey went on to break into another apartment and was shot twice (recovering, facing charges) but the dog went missing in the raucous night. A rescue and recovery group, Ruby the Greyhound, set traps and Dachshund Rescue of Bucks County and New Jersey provided an infrared camera near where sitings occurred. He was found over a mile from home. The pup will have to have a surgery for an injured leg, but it expected to be ok.
Pictured Keisha and Cortez Hamilton Sr.